This book takes a new approach to writing about the past. 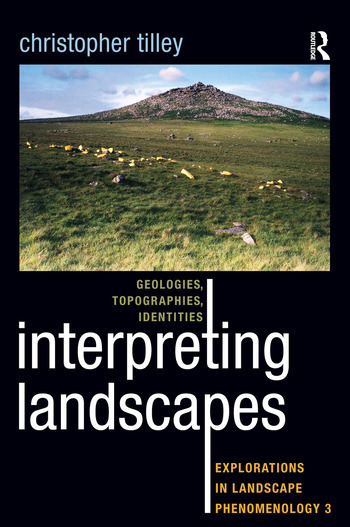 Instead of studying the prehistory of Britain from Mesolithic to Iron Age times in terms of periods or artifact classifications, Tilley examines it through the lens of their geology and landscapes, asserting the fundamental significance of the bones of the land in the process of human occupation over the long durée. Granite uplands, rolling chalk downlands, sandstone moorlands, and pebbled hilltops each create their own potentialities and symbolic resources for human settlement and require forms of social engagement. Taking his findings from years of phenomenological fieldwork experiencing different landscapes with all senses and from many angles, Tilley creates a saturated and historically imaginative account of the landscapes of southern England and the people who inhabited them. This work is also a key theoretical statement about the importance of landscapes for human settlement.